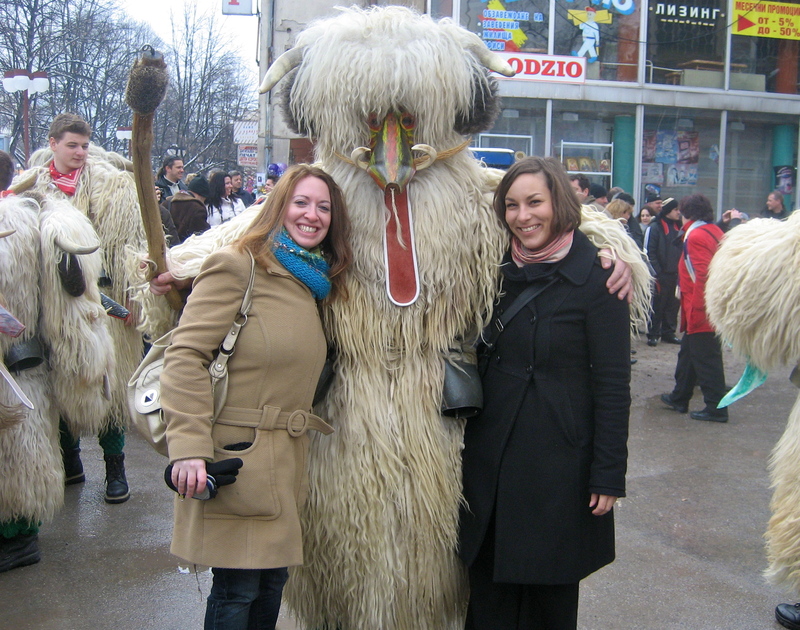 In Bulgaria this time each year a festival referred to a Kukeri is held to ward off evil spirits during the winter season. 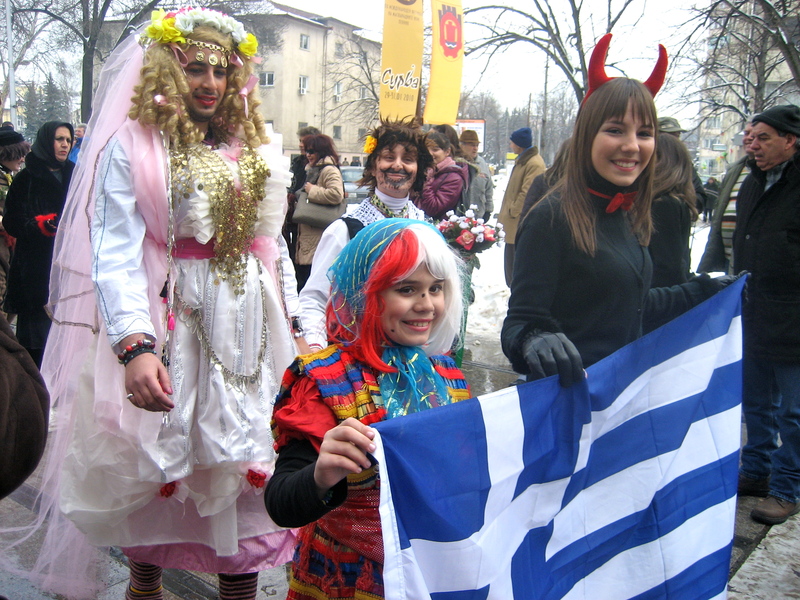 Its very much like Carnivale which is celebrated in many other countries around the world, but with a Balkan twist. 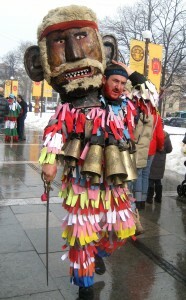 Adults and children who participate in the traditions of the festival will dress up in handmade costumes with decorative masks which resemble scary animals or monsters. 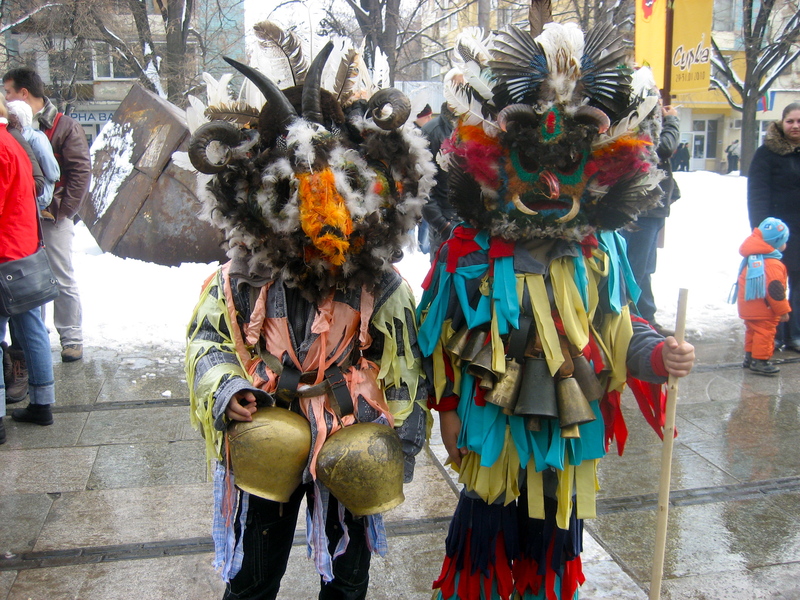 It actually reminded me more of Native American or Tribal Festivals and Ceremonies in the U.S. – mainly because of the animals and large carved faces. They also have cow bells attached to their costumes so that they can create synchronized sounds to scare demons away. 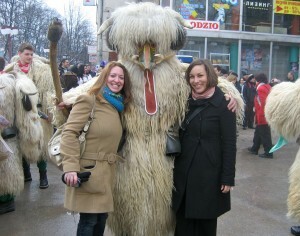 This year I was able to attend the International Masquerade Games “Surva” and Kukeri Festival in Pernik, a small city outside of Sofia. I went with a few friends and made some new ones while we explored the parade route and took photos of the amazing costumes. There were several countries who participated this year including delegations from China, Macedonia, Slovakia, Belarus and Romania. Most of the participants from Bulgaria were from smaller villages who are more likely to hold on to these traditions. I find it fascinating that so many cultures and religions have similar ceremonies/traditions particularly between late January and mid March. In Carnivale Festivals, men, women and children dress up in elaborate masks and/or costumes similar to the U.S. celebration of Halloween which also revolves around evil spirits and demons. 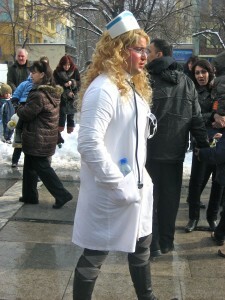 Even in Judaism we have the holiday of Purim in March in which we all dress up in costumes and make noise whenever someone mentions the name of the villain Hamen during the reading of the Story of Purim “The Megillah.” And just as in Carnivale and Halloween cross-dressing is all part of the fun 🙂 Nothing like a man dressed as a female to scare the evil spirits away . . .